Looking for an excellent luxury family resort? Well, we have found a few that will really deliver. In reality, we have luxury family resorts all around the world and it's not easy to squeeze the best onto one page. Top Luxury Family Vacation Destinations from TripAdvisor. One of the best family resorts in Mexico with an interactive Dolphinaris. The well-run Barcy Kids Club and seemingly limitless water-park areas and activities around the resort. Teens get their own space separate from the other kids clubs and there is much more to discover..
More information and offers on Barcelo Maya Palace Deluxe. In a country with such a lot of great all inclusive family resorts, the Cancun area including the riviera area to the south of Cancun probably has the highest concentration of quality family all inclusive resorts anywhere in the world. The Azul here for example, has ample kids clubs for different ages, baby amenities, and receives some of the highest guest satisfaction ratings of any resorts worldwide. 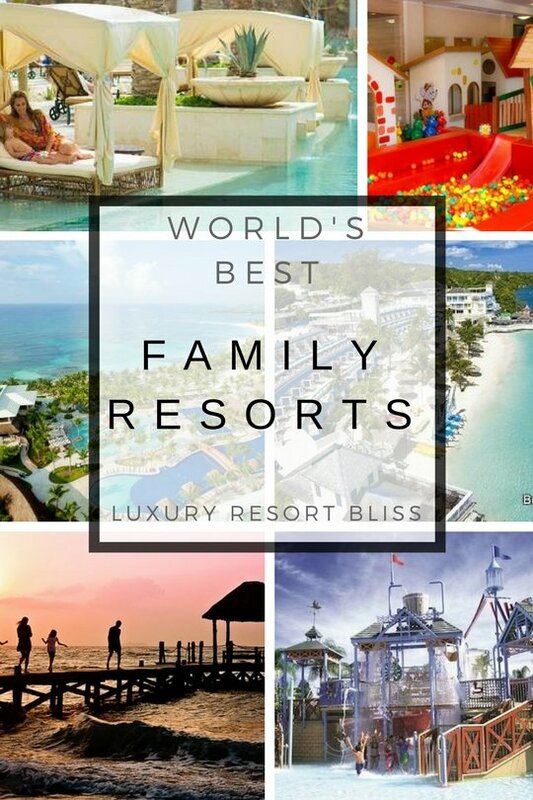 The best of bliss list reviews the best Europe Family Resorts and also has some great European family vacation ideas and the best all inclusive resorts in Europe for families. Perhaps you will think like we do after viewing these that Europe is closer than you thought. If you are looking for something a little more sophisticated than the regular razzle dazzle all inclusive for kids typical of the Caribbean and Mexico than perhaps the European destinations will interest you. The Alder is an Italian all inclusive Spa resort which caters for children and allows for them to have many of the full treatments (which are safe to do) the adults enjoy. This Italian resort recently topped the TripAdvisor list as the worlds best family resorts. Ski Schools which are top notch along with outstanding acres kid friendly "wellness activities" and water parks all wrapped up in a surreal and authentic European village environment. This is a resort that really does seem dedicated to children and their vacation needs. More information and special offers on Cavallino Bianco Family Spa Grand Hotel from TripAdvisor. Orlando of course! A family friendly location if ever there was one. This resort is located close to Walt Disney Land and other theme parks. Here you'll find 3 golf courses, a spa, supervised activities for kids, a tropical water park and a number of restaurants (groceries can also be delivered). Accommodations are 1,2 and 3-bedroom villas and multi-room houses. 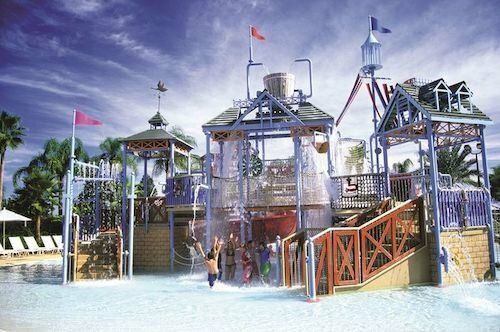 You can see more on our family resorts in Florida reviews. Hawaii is another United States location with more than it's share of top Family Resorts. While Disney on the main island is well regarded by families it is not by any means the only one. Read more on our Oahu Family Resort Vacations review. We have also put together a list of places to find Hawaii Family Vacation Packages as well. A fantastic resort in Maui, Hawaii, which has the distinction of getting perfect scores by all past guests (so far). There are lots of activities, championship golf, a spa and a great beach. Accommodations are in villas or a penthouse and families love it! More family resorts in Hawaii. A neat little village and ski in and out facilities are a good find for many families seeking a good vacation on the slopes both in summer or winter. This is a top class car-less resort with lots of family friendly restaurants and a quality ski school. See our top Family Ski Resorts. Beaches have a number of especially family friendly resorts scattered across the Caribbean. These are characterized by their full inclusive luxury experiences complete with water-parks, loads of kid friendly activities and and supervised clubs and Sesame Street characters which cruise the grounds. 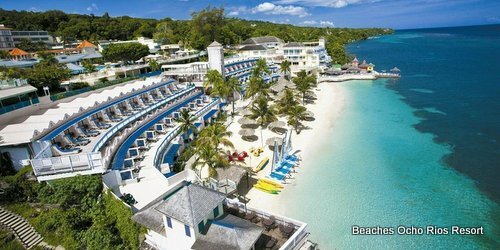 More information and special offers from Beaches including up to 65% off. This resort is easily the most popular resort in the Dominican republic for people with families. For ages 4 to 10, Mini Club Med has planned a full and extensive program. For ages 11 and 17, there are creative activities, sports and artistic activities. It's all inclusive and includes all meals, accommodations, drinks, unlimited snacks, entertainment, children and junior activities, and an extensive range of outdoor recreational activities. Located in Montego Bay, Jamaica, this all- villas resort was designed to catch the sunsets. They have a kid's club (3-11), an all-inclusive dine-around program, a large variety of water sports, a spa by the sea and a secluded beach. Gets great reviews also. More luxury family villas in Jamaica. This 5 star resort is one of the most exclusive on the island and located on the south coast of Antigua. There's a spa, golf nearby, game room, water sports, 2 restaurants, tennis and more. There are 80 sophisticated rooms that are spacious and comfortable. More family resorts in the Caribbean. 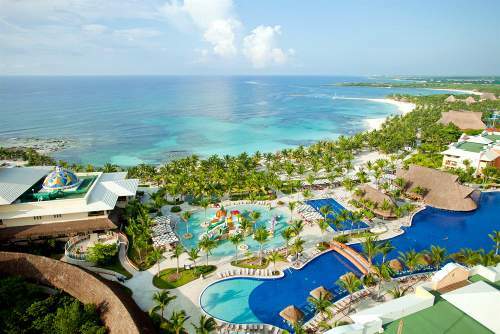 You may also like to see the best all inclusive family resorts worldwide as well.